Millions of families are at risk of starvation as famine threatens parts of South Sudan as well as Nigeria, Somalia, and Yemen. I am Colm Byrne, Oxfam’s humanitarian programme manager. I have just returned from Niger, a country in the Lake Chad region in West Africa where already pockets of famine have been reported and large numbers of people are dying due to malnutrition and diarrhoea. As you may have heard in the news, famine has recently been declared in South Sudan. This is another country where I have seen first-hand the scale of the hunger crisis that is destroying the lives of millions. With household food stocks scarce and food prices rising in the absence of production, many families are struggling to survive in the Lake Chad region where some seven million people simply cannot find enough food to eat. 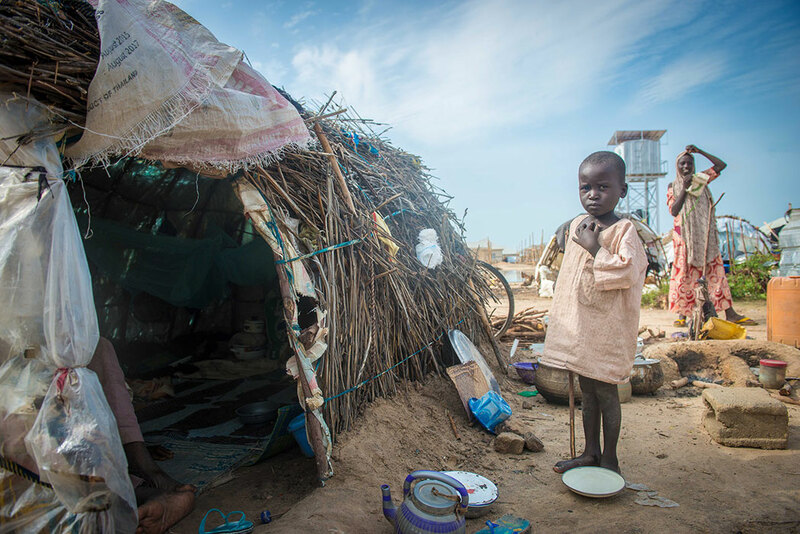 Across the Chad Basin region, new mothers, their children and the elderly are particularly vulnerable as a result of the hunger crisis gripping the region where currently 1 out of every 3 children is suffering from malnutrition. Above: Aamin, who is two and half years old and badly malnourished is held by his mother Aisha, 35, at at a camp for displaced people in Maiduguri, the capital of Borno State. Oxfam is helping people here with sanitation and protection issues. Hunger, wherever it exists, is cruel. Worst of all, its deadly. Malnutrition is one of the largest causes of child death in this region – and children in drought-affected regions such as this are most at risk. I heard so many harrowing stories of the hunger faced by vulnerable people. Families like Aisha* and her young son Aamin* pictured above are an all-too common sight for Oxfam staff. Aisha is living in a camp for displaced people in Maiduguri in Niger, and two-and-a-half-year-old Aamin is severely malnourished. By donating now, you can act quickly to make sure that people like Aisha and Aamin do not go hungry. Your support can help stop people’s rapid decline into malnutrition or famine. We’ve already reached many thousands of people with food, water, livelihoods support, sanitation and hygiene kits in response to the hunger crisis in Niger and the Lake Chad region. We have distributed cooking equipment and provided seeds and tools to help traders and farmers. But our aim this year is to reach over 1.5 million people with life-saving assistance before it is too late. Can you please help us reach that target? In southern Africa, Malawi is also experiencing a major food crisis. The worst drought in decades has meant that people cannot grown food to feed their families. February is the lean time’ between harvests when typically there is little food to eat. But, today, there is barely any food at al. In a country like Malawi, where 9 in 10 people rely on farming, this drought has brought communities to the brink of catastrophe and a national state of emergency has been declared. Oxfam is supporting people such as Julis Magawa in Malawi. The eyes of this proud and dignified man betray his sadness and the hardship this family man has endured. He told us that his children had been crying because they were so hungry. I can only imagine how devastating it must be to know that day after day your children don’t have enough food to eat. 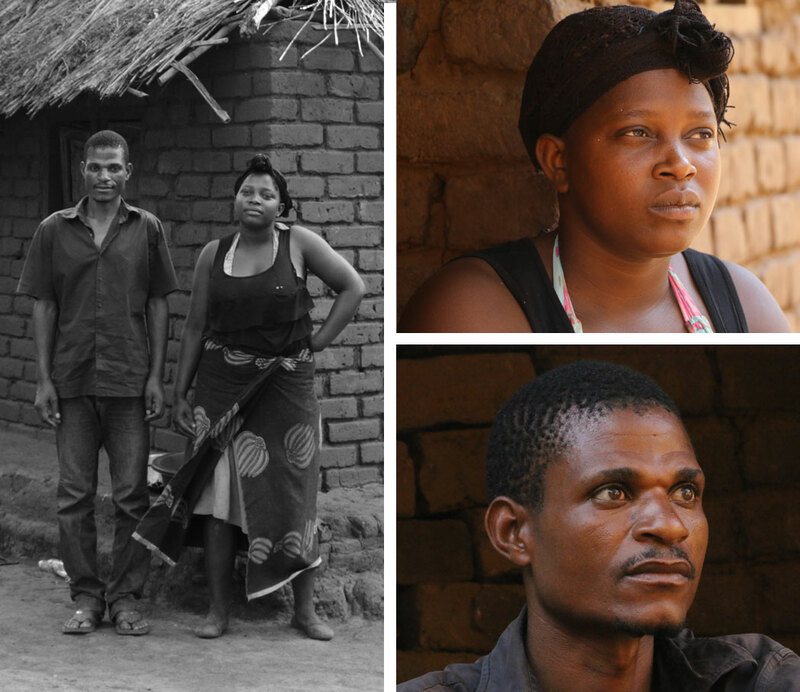 Like so many others in Malawi, Julius has had to resort to desperate measures just to keep his family alive. How would any of us behave in this situation? I simply don’t know. But I do know that Julius doesn’t want to break the law. He just wants to keep his children alive. Above: Julius and Lucy struggle to feed their children. With a targeted injection of cash from Oxfam, we can help him to buy food from the local market so he can feed his family over the coming months. We can also give him the seeds to grow new crops. That way we can help Julius earn his living safely – and keep the whole family out of poverty. By sending a gift today, you can help Dads like Julius to support their family in a safe and sustainable way. You can help mums like Aisha to feed their children without having to resort to begging. The displaced families and communities I visited count among the world’s poorest and most vulnerable. We now live in a world where 1 in 9 people goes to bed hungry every night. It’s obscene that while this is happening across the world today we know that just 8 men have as much wealth as the 3.6 million people who make up the poorer half of humanity. We will not eliminate extreme poverty unless countries begin to close the gap between the richest and the rest. But in the meantime, together we can help beat the hunger crisis that has countries like Malawi and Niger in its grip. Please don’t delay and make a donation today. Thank you. The devastating conflict in West Africa is continuing to cause severe food shortages, plunging the region into a serious humanitarian crisis, and leaving nearly 11 million people in need of emergency aid. Violent acts by militant insurgency group Boko Haram over the last seven years, along with military operations to counter them, have displaced around 2.6 million people in the Lake Chad Basin region, which is made up of Nigeria, Niger, Chad and Cameroon. This is Africa’s fastest growing displacement crisis. The number of displaced people in the most affected areas has tripled over the last two years. Most of the displaced families are sheltered by communities that count among the world’s poorest and most vulnerable. Food insecurity and malnutrition in the affected region have reached alarming levels. Thousands of people are estimated to have died already, many of these young children. There is a strong likelihood that at least 400,000 people could currently be experiencing famine in North East Nigeria. Since Boko Haram kidnapped Kadija* and forced her to marry a fighter to whom she bore a child, Kadija* faces stigma from her community, as does her child who is seen to carry ‘bad blood’. She currently lives in a camp for people displaced by the conflict with Boko Haram because her father disowned her. Kadija* was taken to the bush where she gave birth with no medical facilities. Once she deemed the baby strong enough she made her escape. 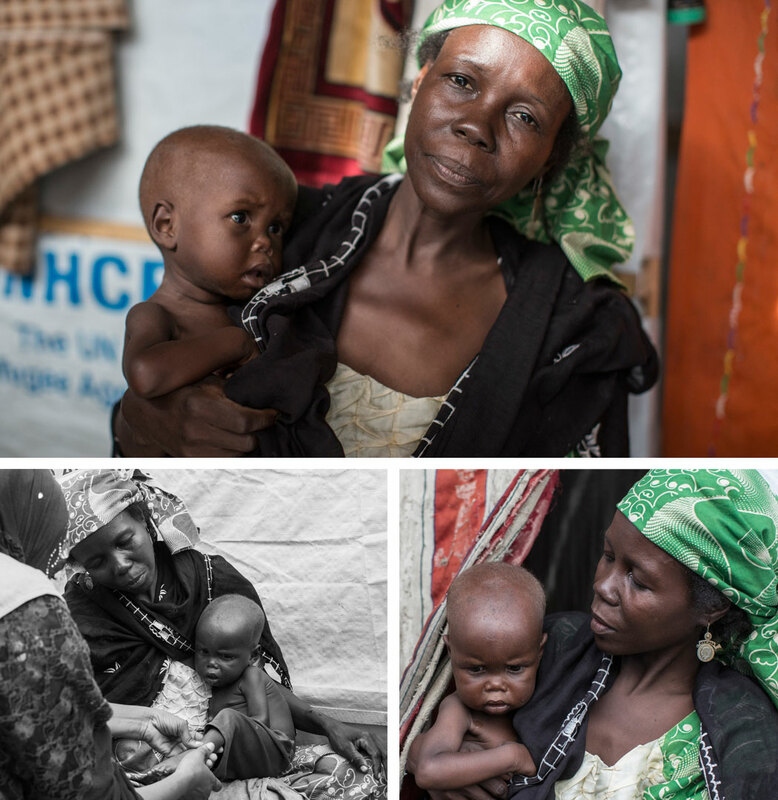 Kadija and her baby aren’t the only ones struggling in north-eastern Nigeria right now. 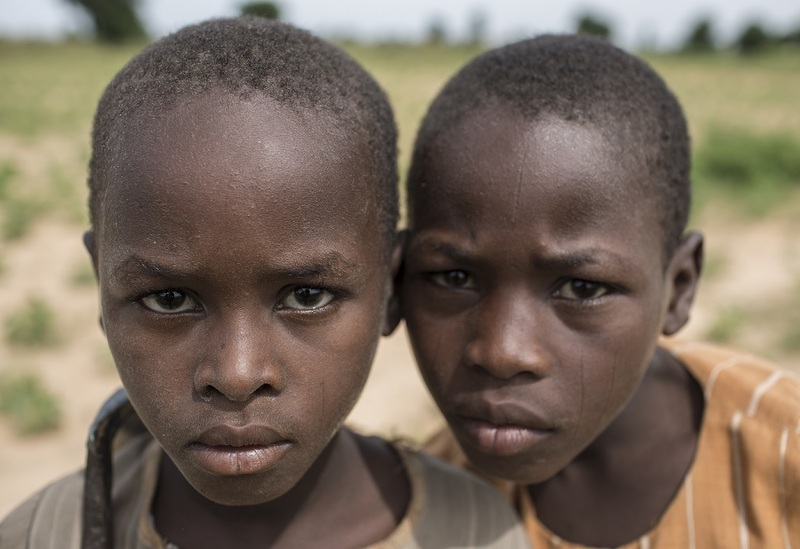 Brothers Digma* and Omar* (pictured below) are helping their father Hassan* in a field he rents on the outskirts of Maiduguri, Nigeria, as it’s the school holidays. Their father Hassan* was a prosperous farmer before fear of violence from Boko Haram forced him to flee his village. While Hassan’s* old farm previously left him with surplus to sell, he now has to work as a labourer in order to make up the shortfall in food for his family. He said: “I have to feed my six children, my wife, my grandmother and two grandsons. How many days will [this food] last us? It’s just not going to be enough. The government have not supported us. We have to do things ourselves. The conflict between Boko Haram and governments in this region has affected some of the world’s poorest people. Most of them in rural areas are farmers, and many like Hassan* have not been able to grow any crops for three years. They are in urgent need of food, water, and medical care. They are living in camps for displaced people and among host communities and are struggling to survive. The situation is dire across this region. People are in urgent need of food, water, medical care, shelter and safety. Oxfam has helped more than 250,000 people in Nigeria, Niger and Chad since it began responding to the crisis two years ago. In Nigeria Oxfam is distributing emergency food support food and cooking equipment, providing people with clean water and better sanitation, as well as seeds and tools to help traders and farmers. We have also set up community protection groups for women to give them information about access to support facilities if they have suffered from sexual violence and exploitation. 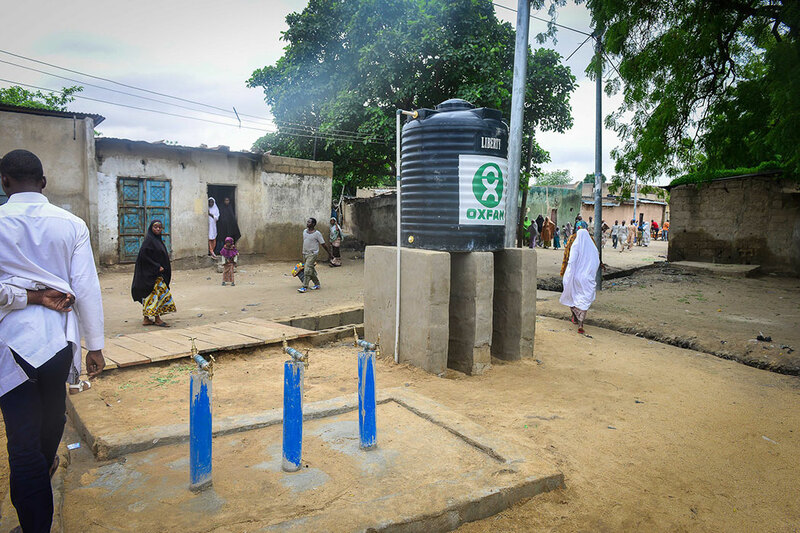 In Niger, Oxfam is rehabilitating and constructing boreholes to provide safe, clean water to people who have fled their homes and communities, and we are delivering life-saving food assistance to families severely affected by the crisis. In Chad, Oxfam is distributing cash and tarpaulins for shelter, and providing clean water to help prevent the spread of diseases. We are ramping up our programmes and are seeking funds to expand our response to help 1.5 million people in the next 15 months. Oxfam is urgently seeking funds to help where it’s needed most. Please help the people of West Africa – give what you can and get food and clean drinking water to people who urgently need it. Thousands of people are believed to have died due to hunger and malnutrition and experts say that more than 65,000 people are officially classified as suffering from famine in a desperate and largely unknown humanitarian crisis in the Lake Chad Basin region of West Africa, one of the poorest places on earth. Those experiencing the most extreme form of hunger are in pockets of north east Nigeria, mainly in Borno state, only recently accessible to humanitarian agencies following protracted military action to secure areas formerly under the control of Boko Haram. They are part of a humanitarian crisis largely ignored by the international community which is also affecting people in Niger, Chad and Cameroon. Unless there is a rapid scale up in the provision of assistance, there will be many more deaths. 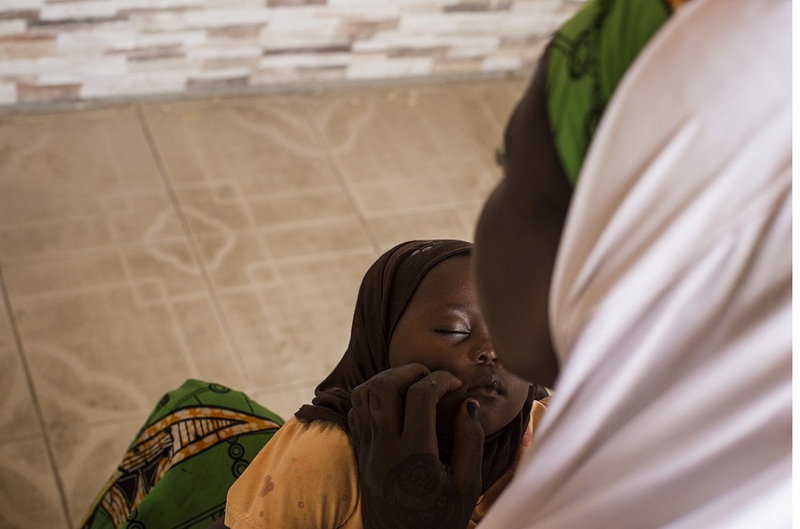 Estimates suggest that as many as 67,000 children aged under 5 could die by the end of September in Nigeria’s Borno and Yobe states alone – that’s 184 every day – due to lack of nutritious food. 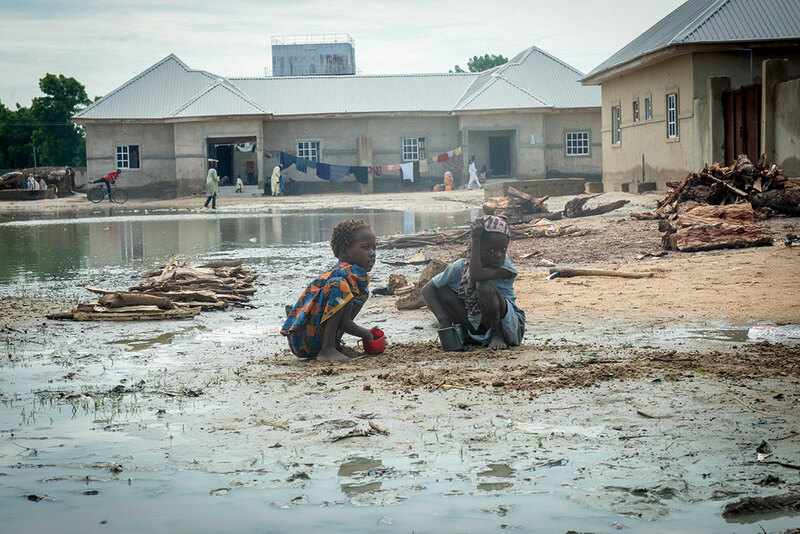 Oxfam is providing life-saving support in Nigeria, Niger and Chad to people who have been forced to flee their homes as well as the already impoverished communities in which they are taking shelter. We are providing people with desperately needed food as well as clean drinking water and sanitation to protect health and prevent the spread of disease. And we are also calling on donors and governments to act now to support humanitarian efforts. The present crisis across the Lake Chad basin began seven years ago as a result of the emergence of the group Boko Haram in Nigeria and military operations against it. Violence has escalated further in recent weeks exacerbating an already dire humanitarian situation. It has forced 2.7 million people to flee their homes, including 1.9 million Nigerians alone, and left over 9 million people in need of help. Unable to grow or buy food, or access humanitarian aid, millions are going hungry. 3.8 million people across the Lake Chad Basin region as a whole face severe hunger. Over 20,000 people have been killed and thousands of girls and boys are thought to have been abducted. There have been alarming levels of sexual violence, violations of international humanitarian law (the law of armed conflict) and human rights law including the forced recruitment of civilians, even children, as combatants. 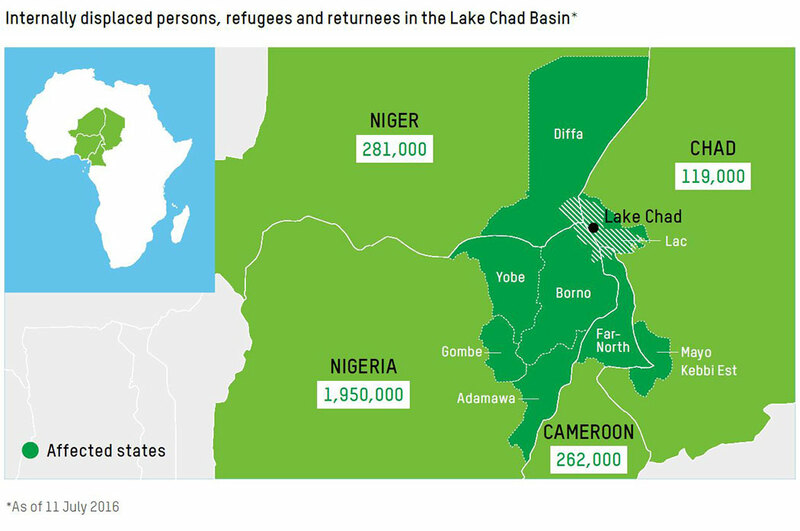 The Lake Chad Basin crisis now represents Africa’s fastest growing displacement crisis and is the seventh largest internally displaced population in the world. The conflict has caused widespread destruction of vital but already limited infrastructure, such as hospitals, schools, roads, markets and farmland. Across the region, people are on the move trying to escape threats to their lives, liberty and other human rights in search of safety and protection. Since the start of the conflict in 2009, more than 20,000 people have been killed as a direct result of the violence. In 2015, around one in every 15 people who died throughout the world as a direct result of violent conflict died in Nigeria. Countless more are dying or face permanent disability as a result of hunger, disease and a lack of healthcare, the secondary impacts of war. Zarah Isa* (50) is from Borno State in Nigeria. She and her husband were farmers and grew vegetables. She also collected firewood which she would sell and their children used to go to school. 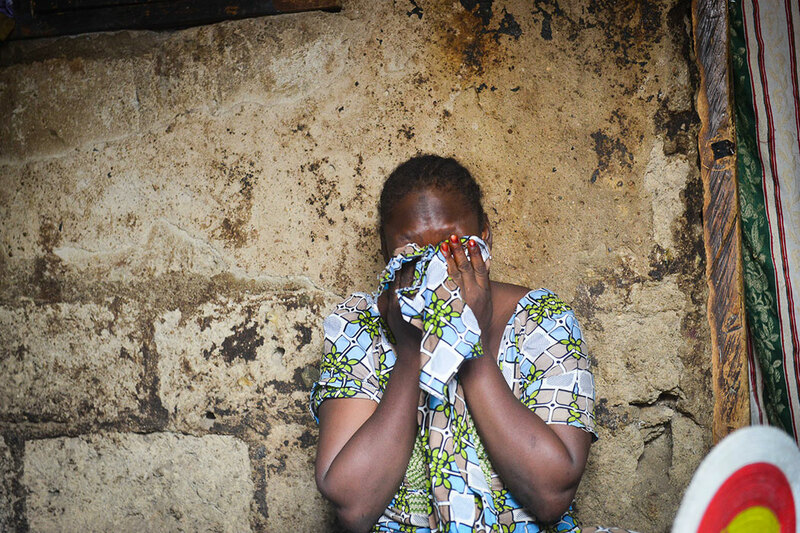 But three years ago Boko Haram attacked her village and killed her husband. 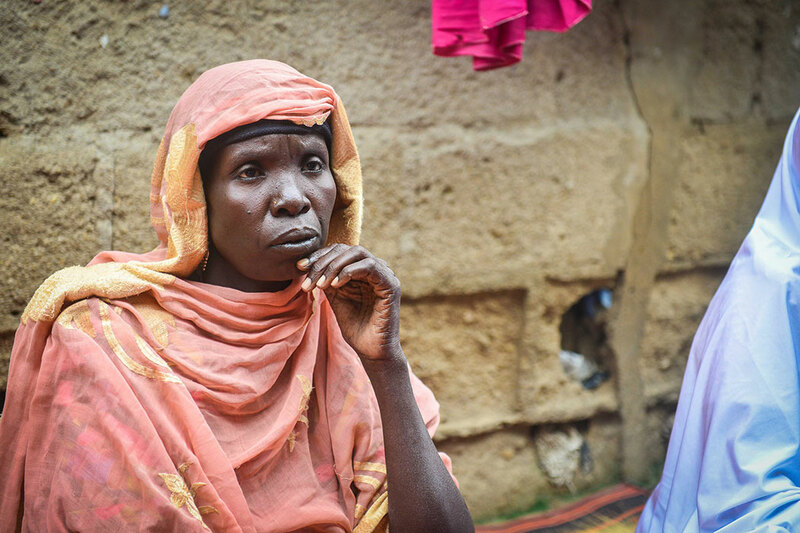 Unable to bury his body, Zarah was forced to flee with her six children. The oldest child was 12, the rest were aged under 10. They spent one month in the forest. To survive they drank water from open sources such as streams. Often the water was dirty. For food they relied on leftovers from communities they passed along the way, as well as scavenging for food that had been thrown away. It took them one week of walking through the forest on foot to reach the Kabbar Maila host community in Maiduguri, the capital of Borno State, where they now live. Once in Maiduguri they asked around for people who came from their community. For two weeks they lived in a makeshift tent with 10 other internally displaced families and then through local community leaders she was able to find accommodation to rent with a local landlord. Zarah now lives with her children in a crowded room with a leaking roof. She pays her landlord with money her children bring back from begging but for the last three months she’s hasn’t had enough to cover the rent. To feed the family, Zarah’s eldest daughter buys sachets of water from a vendor and hawks them on the streets. If her daughter is unable to make money from selling the water, the family goes hungry. When this happens she sends her daughter and some of her other children to beg for money. Zarah is unable to find work as people do not want to give jobs to someone her age as they are looking for younger people to do menial jobs. The family is barely able to eat two meals a day. Their meal usually consists of corn flour or maize and they are unable to afford vegetables or meat. The local host community have opened their arms and have been very welcoming. They share the little they have but people are poor. Her biggest need currently is food. When her children go hungry, it causes her pain. Zarah is unable to go back to her village and home because there is a lack of security there. She heard that people had gone back and had been killed. 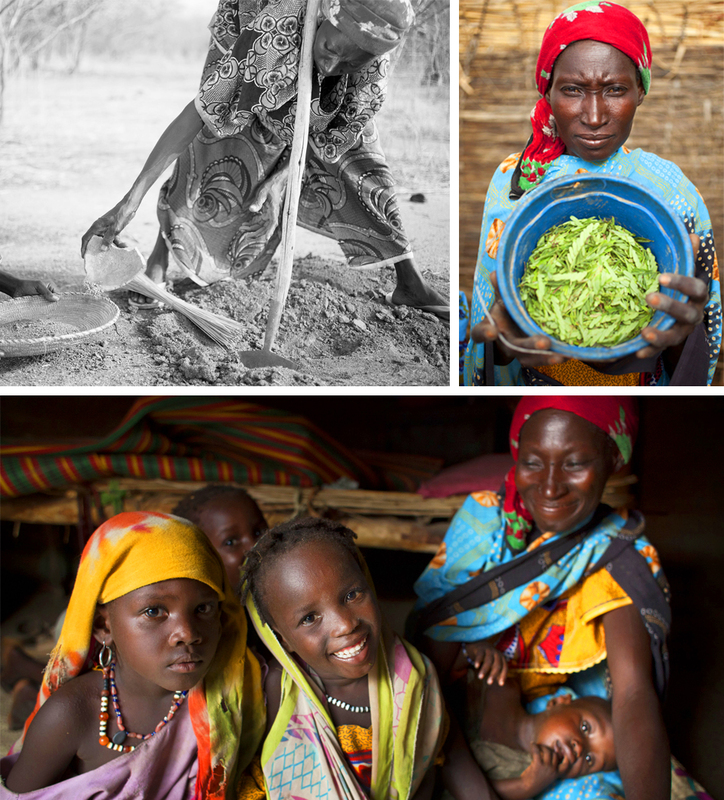 Her hope is to one day return home so that she and her children can grow food on their land and sustain themselves. Read other stories and find more information in the new Oxfam report, Lake Chad’s Unseen Crisis. Oxfam has supported over 250,000 people so far in Nigeria since we began responding to the crisis in May 2014 but we urgently need your support. We are providing people with desperately needed food as well as clean drinking water and sanitation to prevent the spread of disease. We work in Adamawa, Borno and Gombe states, providing people with emergency food support, clean water and better sanitation, including constructing showers and repairing toilets, and making sure people have areas to wash their hands. We have set up community protection groups for women to give them information about access to support facilities if they have suffered from sexual violence and exploitation. We are distributing food and cooking equipment, as well as providing seeds and tools to help traders and farmers get back on their feet. In Niger, Oxfam has helped over 31,400 people since our emergency response began there in 2015. We are installing water systems to make sure people have clean water to drink, as well as distributing essential items such as cooking pots, buckets and water purifying tablets. Elsewhere in Niger there has been massive flooding, and in some regions where the lean season – the time when people are at the end of their food until the next harvest comes – there is desperate hunger. 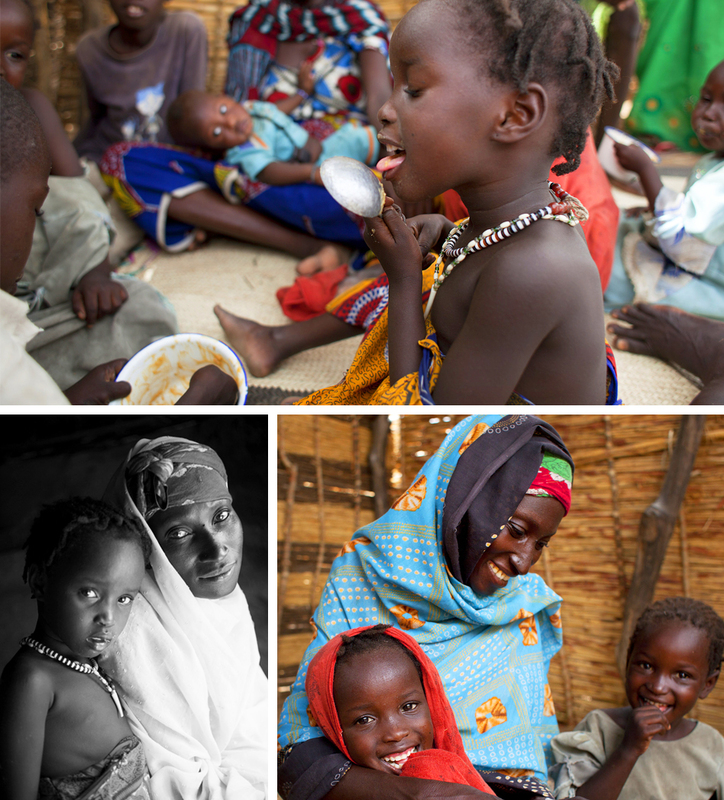 Oxfam has recently started responding to the crisis in Chad, with the aim to reach over 30,000 people. We will distribute cash and tarpaulins for shelter and provide clean water to people to help prevent the spread of diseases. Please support our West Africa crisis emergency response. 100% of your donation will go directly to this response. You can also add your voice to our Right to Refuge campaign which is calling on the Irish and UK governments to ensure that everyone has the right to refuge when their safety and dignity is threatened. Colm Byrne is Oxfam Ireland’s Humanitarian Manager. Breakfast in Lagos, the same as the day before, two large slices of boiled yam (a root vegetable) with spicy egg sauce. Surprisingly it actually works as a breakfast and my stomach has been fine. The strong spices make the bland yam edible and I find myself enjoying the combination. Lunch and dinner will be more spicy soups and sauces along with fish or other meat and eaten with various porridges made from cassava and other crops. Nigeria, like the rest of West Africa, has a strong culinary history with a wide variety of dishes prepared from indigenous crops. Nigeria also has the hottest, spiciest food of any country in the world. If you have never tried it and especially if you have blocked sinuses, you need to try proper Nigerian hot pepper soup. 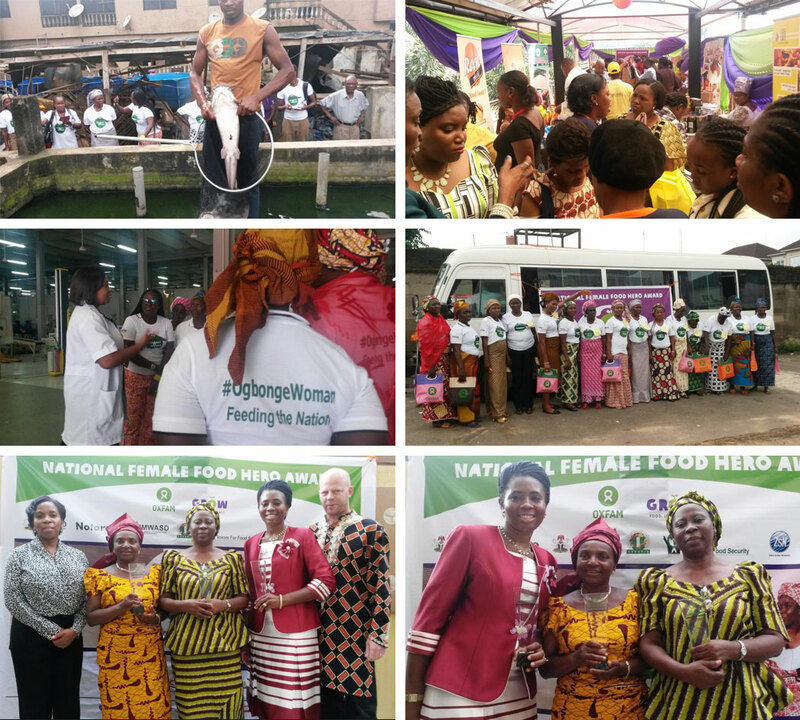 I was in Lagos for the 2014 Female Food Hero awards, a competition that began in Tanzania. These 12 great rural women came from all over Nigeria and were selected from more than 1,200 nominations. They, along with millions of other women, grow the crops, care for the livestock and in the end produce the food that makes up the exciting Nigerian cuisine I was enjoying. These 12 women spent a week together in Lagos in the build-up to the final award ceremony and announcement of the overall winners. In the past two years the awards were held only in certain states among women farmers that Oxfam and partners worked with, but this year for the first time it has become a national competition open to all women involved with primary food production. During the week, the women joined together in morning exercises with Tony the trainer, who also works as a model and actor. They had training sessions with different people on a range of topics relevant for women and for farmers. They held discussions and went on field trips. To the end, even in celebrating the eventual winners, they demonstrated a unity that this large and complex country sometimes lacks. Clockwise from top-left: Catfish at urban fish farm in Lagos – this visit showed how nutritious food can be produced and made into a good business, even with limited space. An exhibition of farmer produce set up during the award ceremony. The 12 finalists of 2014 competition join winners from previous years and a representative of the farmers organisation on a field trip. From left to right: second runner-up Chinasa Asonye; first runner-up Monica Maigari; and Female Food Hero 2014 Marian Buhari. From left to right: Oxfam’s Acting Nigeria Country Director Evelyne Mere; first runner-up Monica Maigari; overall winner Marian Buhari; second runner-up Chinasa Asonye; Oxfam Food and Land Rights Advisor Marc Wegerif. The finalists visit the Tropical Naturals Ltd factory which turns agricultural products like shea butter and honey and turn them into creams and products for export. These women also underwent health checks and received healthy living advice. Stress management was one of the favourite topics. There are so many stresses that rural women face that they are normally expected to simply cope with themselves. They learnt they have a right to care for themselves and be cared for. There were also meetings with celebrities, actors, singers and women leaders. There were dramas that the women themselves prepared and as well as the hard work, lighter moments and lots of singing. The whole process was filmed and is being produced into a series of TV programmes. The field trips included a visit to the inspiring factory of Tropical Naturals Ltd. They take agricultural products like shea butter and honey and turn them into creams and products like the famous Dudu-Oson black soap that is sold in Nigeria and exported. The dynamic Chief Executive Officer, Abiola Ogunrinde, stressed to the women the importance of adding value to all their agricultural products in order to get a greater return as farmers and for the nation. An urban fish farm showed how nutritious food could be produced and made into a good business, even with limited space in a densely populated urban area. Some of the finalists are already involved with fish farming, others were inspired to start. Nigeria is now the largest economy in Africa with 180 million people and famous for its oil industry, but agriculture remains a vital part of the economy. Agriculture makes up more than 30% of the economic activity and importantly 70% of all employment. Women provide most of the labour in the sector, but get little recognition and little support, something that these awards are working to change. By highlighting the importance of women’s contribution to food production and the economy, the Female Food Hero awards help increase public support for women involved with food production. The awards also show the challenges women face, through the stories of the female food heroes themselves, told by themselves. We are asking for the creation of a more supportive environment for women food producers. Look what they have done despite all the challenges they face and imagine what they could do with a more enabling environment. The responses have been good and other women food producers have also been inspired. On Friday 20th November the hall at the hotel was crowded and sometimes chaotic during an exciting celebration of the Ogbonge (strong, heroic, magnificent) Nigerian Women Food Heroes of 2014. As many speakers stressed, all the finalists are good representatives of the millions of hard-working women who produce most of the food in Nigeria. But everyone also wanted to know who would be the winner and walk away with the largest prizes. Above, left-right: Some of the produce made by first runner-up Monica Maigari. 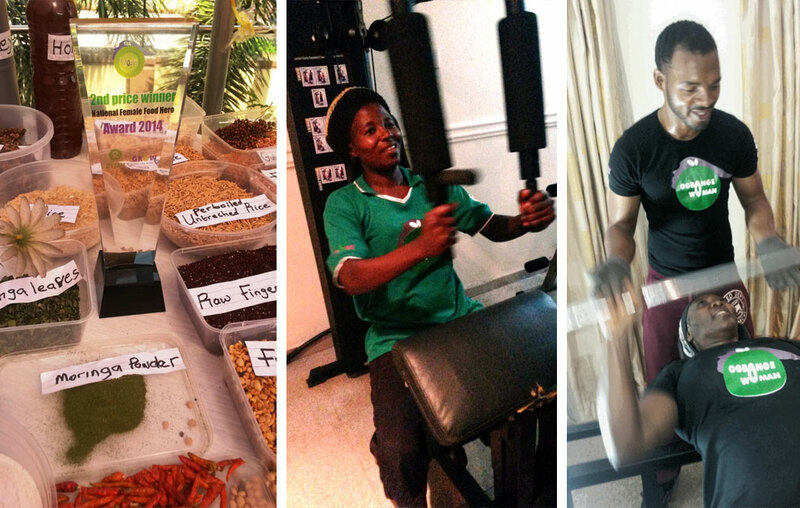 Previous Female Food Hero award winner Gloria works out in the gym. Tony puts the women farmers through their paces in the gym. Karima Babangida, the Head of Gender and Youth in the Federal Ministry of Agriculture and Rural Development, announced the winners for 2014, but not before she praised the “12 very beautiful hard-working women” who made it to the finals. She also committed the Ministry to providing start-up kits with fish for all the finalists to start or expand fish farming. The second runner-up was Chinasa Asonye from Lagos state. A young married woman with three children, she has gone from only cultivating ofada rice to now processing and packaging the rice, for which she gets a much better return. Chinasa leased land from Lagos state government under the Rice for Jobs Initiative and has also branched into fish farming. Last year, she harvested 31 sacks of rice and 5.2 tons of catfish. The first runner-up was Monica Maigari from Kaduna state. She is a mother of four and farms soybeans, maize, guinea corn, rice, poultry and goats. In 2013, she produced and sold 34 sacks of grains, 130 birds, 360 crates of layers and eight goats. It was hard to get any picture of the winner, Marian Buhari, when she was announced as people crowded around with cameras to capture the moment. Marian is from Kwara state. She is married with five children and farms cucumbers, maize, cassava, melons, tomatoes, cabbage and fish. She was assisted by the Federal Ministry of Agriculture and Rural Development to get started in fish farming with catfish fingerlings (young fish) and two bags of fish feed. Now in 2014, she harvested over 150 tons of produce. Like Chinasa, she had also relied on renting other people’s land for her production. The best speakers of the day were the women farmers themselves. The past winners shared how much the awards had meant to them, including their activities as ambassadors for women farmers that had taken them to national events and international events in the United States and African Union meetings in Ethiopia. This year’s finalists called for women to get better access to inputs, machinery, finance and land with secure rights. Ogbonge Women, Our Future! Ogbonge Women, Our Farmers! Ogbonge Women, Our Nigeria! Marc Wegerif is a South African, currently based in Tanzania, who has worked on development and human rights issues in a range of organisations for over 25 years and has a Masters in Land and Agrarian Studies from the University of the Western Cape. Marc has focused on land rights issues for much of his professional life and is currently Food and Land Rights Advisor with Oxfam Ireland. In this role Marc is involved with international advocacy and running several multi-country projects. He is married with two daughters. This blog is a personal reflection and the views expressed are not necessarily those of Oxfam. Widow Adoaga Ousmane (45) is responsible for finding food for her six children as well as caring for three grandchildren. Like many people caught up in the current West Africa food crisis, she finds food by picking tree leaves and digging up anthills to find wild grass seeds. Even then, there is little to feed her family. “(At night time) I think a lot... about my family – what will they eat, what will I find for them, will I be able to feed them today, I make calculations for tomorrow,” she worries. “I always think about how I’m going to find food for my children, wishing that my husband was still alive to help me provide for the children, because I don’t really have anyone I can turn to for help. If my friends have nothing to give me, we won’t eat anything. Thanks to your response to our West Africa appeal, we’re providing food to families like Adoaga’s in the Guéra region of Chad. On the day of our food distribution, Adoaga is clearly relieved to be able to feed her family. “All my worries have now left me and I am much calmer. I can find sleep more easily. If I eat like this more often then my stomach will be full and I will begin to grow stronger. Oxfam distributed food to 61,326 people in the Guéra region between May and September 2012. Each family receives 34 kilos of maize, 4-5 kilos of beans, 2.25 litres of oil and 0.37 grams of salt, enough food to feed an average family for one month. Your generosity is making a huge difference. We aim to reach a total of 1.8 million people across Burkina Faso, Chad, Mali, Mauritania, Niger, Senegal, and the Gambia with emergency aid. But we need to raise more money in order to do so.